Are you unhappy with your Happy Meal? Is the lettuce in your Big Mac a bit limp? None of this compares to finding a tooth in your fries. 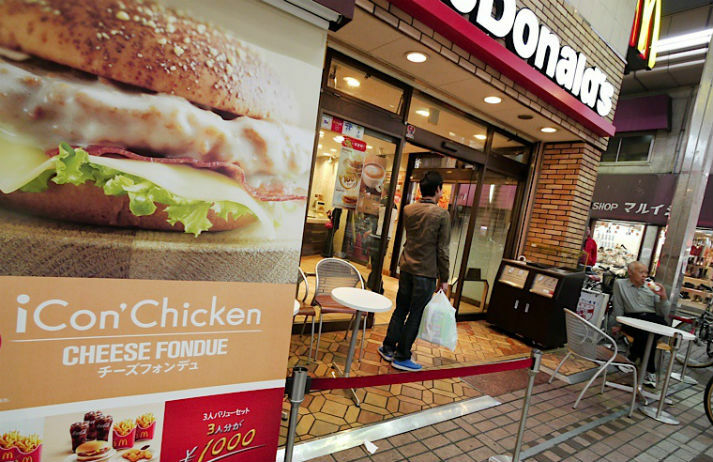 Serious food scares like this have severely dented the reputation of McDonald’s in Japan. Can an app for complaints turn things around? From ramen shops to sushi stands, there’s no doubt that eating out is big business in Japan. But authentic, local dining is off-limits to many foreigners due to the formidable language barrier that persists outside major cities. Could an app get tourists to pick up the chopsticks? From controversy surrounding McDonald's 'chicken', to a literal shortage of french fries, fast food in Japan has a far-from-pristine reputation. Combined with increasing consumption taxes, it is any surprise the Japanese are opting to eat at home instead? “Forgettable” is hardly a report people want to hear from reviews of a $250 meal from a Michelin-starred restaurant, but thanks to the wild west world of online reviews, no kitchen is safe. In Japan restaurateurs are furious, as negative reviews take knock-on effects for their businesses. With over 61% of people reading online reviews before making a purchase decision, it’s even more important than ever to separate the good ones from the bad. But with peer reviews and professional write-ups often having contrasting opinions, who should we trust – and why?